“Before healing others, heal yourself”- Gambian. Well doesn’t this go out for all the women we know? She is a mother, daughter, sister and a wife etc. Apart from her family roles, she is a doctor, engineer, astronaut etc. You name it and she has essayed all the roles beautifully in life. Though women today have become modest and most successful in life, they tend to ignore their own health while taking care of their beloved families. Besides, women are more prone to diseases. Blame the lifestyle or their un-daunting attitude to everything. I am not being a feminist here, however that’s a fact as they struggle between both work and family. How many women do we know, who are all-rounders and are in pink of their health? I am sure only a handful of them. Let’s put some light on few aspects of health and things related to it. A women’s health is not determined on the biological factors. But, also on the kind of work load she handles, amount of nutrition and stress amongst the other factors which effect their health. A person with good health will enjoy all things in life. It is wisely said that “ A sound body in a sound mind” This is that stage where you are able to deal everything with full power in your mind and body. A good health can provide life without any suffering from any pain or discomfort. A good health will not only reflect internally, but also on your face. A good health relates to a fit body which will keep you energetic throughout the day. A fit body will manage to keep your body intact even when you grow old. With good health you have a better ability to interact with people and have satisfying relationships. With good health you have more ability to learn and grow faster. Maintaing a good heath condition is not as simple as a pie anymore. A lot goes behind keeping your body fit and healthy. We all know the basic stuff from eating right food on time , daily exercise, early to bed early to rise pattern, avoiding junk food, cigrattes and liquor etc.. However we live in such an era where even after everthing is taken care off, things like stress, worklife take a toll on our health. Women get more prone to diseases as per the latest investigation as compared to men. With higher cost of living and inflation, the medical expenses have soared. And we tend to lose our hard earned money on these fat expenses. Thankfully we have health policies to take care of our medical expenditures. Medical emergency: Regardless of the fact that the women is the only earning member, single mothers or have dependents in the family to take care off, health insurance policies will act as a boon in difficult situations pertaining to health. Inflation: Middle class families are always the worst to get hit by inflation. Rise in cost of medicines to doctor’s charges. have all made big holes in our pockets. 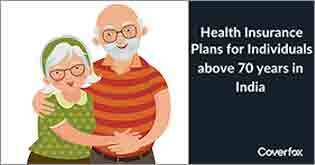 A health insurance policy can safeguard all our savings ensuring a financial security. Better medical facilities: It is no more considered that better medical facilities are only for the rich. Women of all income groups can opt for a good hospital in case of an emergency. 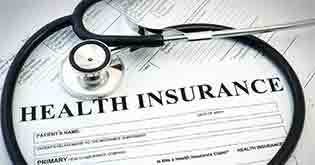 You can opt for those insurers who have tie up with hospitals near your vicinity. Tax benefits: It is one of the best things to come across, when you get benefited by tax in any terms. Section 80D of the Income Tax Act, allows tax deductions against the payments made for self, spouse, dependent children and parents (whether dependent or not). With an health insurance policy you can get tax benefits and are allowed to claim a deduction upto Rs.25,000. Peace of mind: There is a sense of satisfaction and security to know that you are secured all the time. So in case of emergency your near and dear ones are tension free. 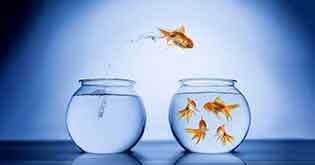 With so many options available in the market for everything, Finding a health insurance policy can be a task. By now it is evident that women are more prone to diseases than men. Diseases like breast cancer, thyroid, cysts, harmone related disorders are few which have effected women considerably in recent times. 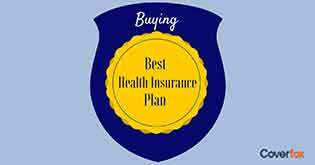 Lets disclose some guidelines to buy health policy for women. Find insurers who have major cashless network of hospitals: Situation of medical emergency can come across anytime. Most insurer’s have a good network of hospitals.This will help in saving time and effort in case you have no one to look after at the time of emergency. Its also vital in supporting your family members with a hassle-free hospitalization and claims process. Waiting period: Even girls at an age of 15 or 16 have diseases like thyroid or other harmonal problems. And most of the pre-existing diseases have a waiting period of 2-5 years.So it is advisible to buy a health plan when you are young. Special policies which cover Maternity: In case you opt for a planned pregnancy, there are special policies which cover maternity for women. Though there are few insurers who offer maternity coverage, they come with a waiting period. It is therefore advisible to buy a separate policy which covers only maternity. 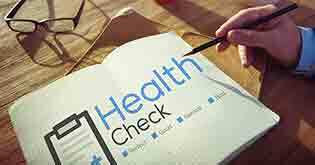 Value added services: In addition to buying policies, there are insurers who provide free medical check up. Services like these add cherry on the cake making the policy more feasible for buyers. 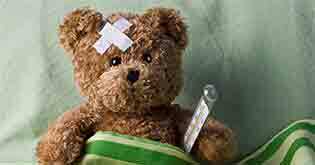 Pre and post hospitalization: Expenses which occur before hospitalization and after hospitalization are equally expensive. This is an important factor to keep in mind before buying a health insurance policy.